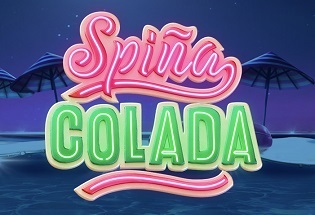 Launched in 2018, the guys behind the creation of WinStar have created something truly special here. But in what way? Have a read below to find out. WinStar Casino is licensed by the UK Gambling Commission and the Alderney Gambling Control Commission, and offers 24/7 customer support via phone, live chat and e-mail. I tell you what, lads and lasses, I bloody love this layout. I mean, just look at those photos below, don’t they look so beautiful?! That sleek purple looks lush and the red and orange strewn across it works so, so well – it’s almost like a piece of art. And the navigational structure that goes with it is awesome too, while the game categories always visible at the top of the screen. It’s particularly worth mentioning how good the specific game categories are too, making it delightfully easy to find what you’re looking for in no time at all! WinStar Casino offer most of the popular payment methods out there including Visa, Mastercard, Maestro, PayPal, Skrill, and Neteller. 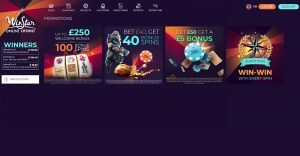 The minimum deposit is £10 and the minimum withdrawal is £5. 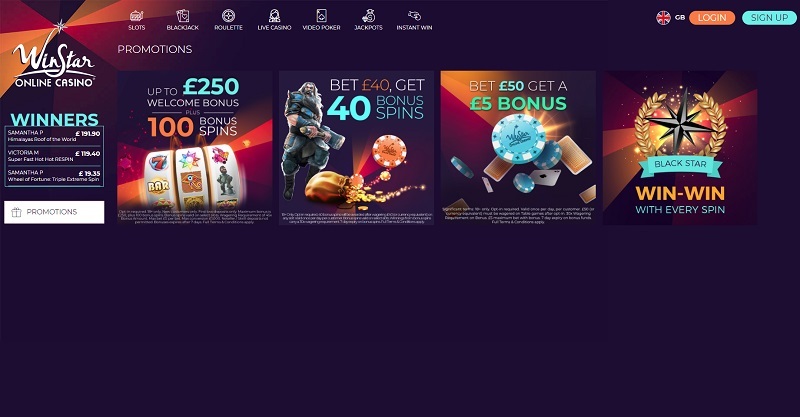 There is no maximum deposit limit and the maximum withdrawal is £100,000. 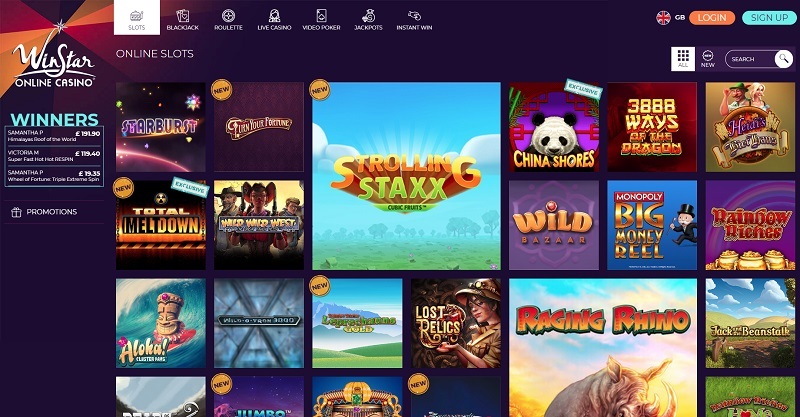 So only 350 ish games are available on WinStar, which is comparatively low, but the quality of the games is right up there with the best offering a whole host of progressive slots including Mega Jackpots and Divine Fortune and a load of classic slots like Starburst and Rainbow Riches. 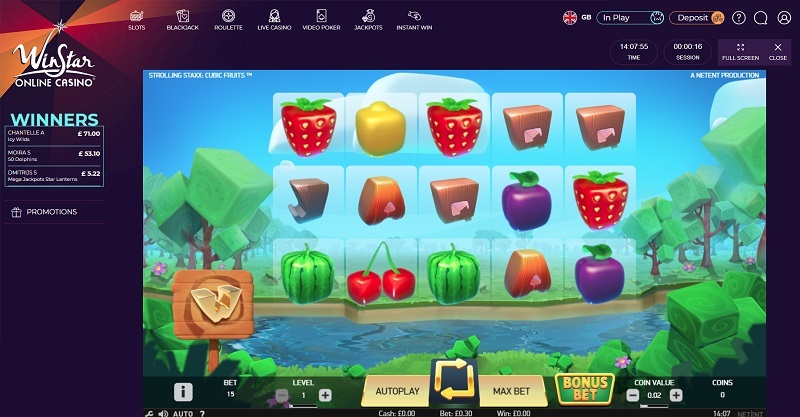 Then on top of that, there’s a whole host of traditional table games; live casino for blackjack, roulette, dice and poker; video poker; and instant win games too. Love. Ly! Well, what a casino this. 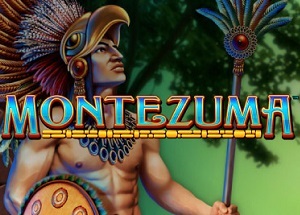 Launched in 2018, it is a baby in the world of online casino, but boy does it act like a man. It is simply a phenomenal casino, and I really don’t say that a lot. 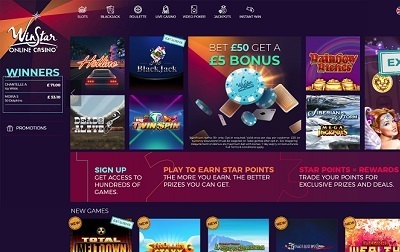 With all the most popular payment methods including the illusive PayPal, all the best games including a tonne of progressive slots, and a wonderful welcome bonus as well, you’d almost be forgiven for forgetting the beautiful website. But how can you forget that marvel? Well you can’t, it’s just stunning. And that’s all I’m going to say because words can’t do it justice. You’re just going to have to see it for yourself.